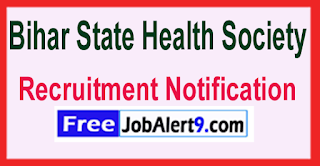 Bihar State Health Society Has Released Recruitment Notification For 89 Nursing / Sister Tutor Posts. All Eligible & Interested Candidates Can Attend Walkin Inter-view. 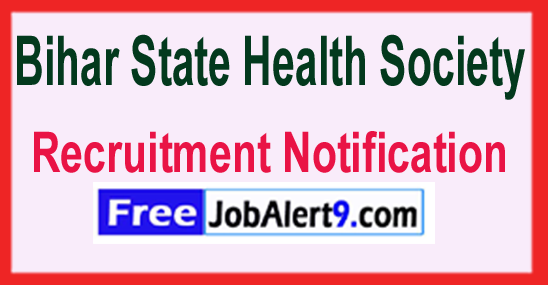 Further Detailed Information Regarding Educational Qualifications, Age Limit, Selection Procedure, Exam Pattern, Syllabus for Bihar State Health Society Recruitment 2017 - 89 Nursing / Sister Tutor Post is mentioned below. Age Limit - Candidates age should be between 21 to 37- Years As on (01-04-2017). How To Apply - All Eligible and Interested candidates are required to attend walkin inter-view a long with relevant testimonials to the following Address on (29th May to 31st May 2017). Address -State health Society, Pariwar Kalyan Bhawan, Shekhpura, Patna 14, Bihar . Walk In Date - 29-05-2017 to 31-05-2017. CLICK HERE FOR BSHS Recruitment 2017 Detailed Advrtisement.